Our 23g bottle cage adapter helps you shift a water bottle cage up to 5cm (2″) up or down a road/mountain bike's mounting/down/seat tube or aero bars. Or use it to simply gain some extra bosses/mounting points near your existing ones. 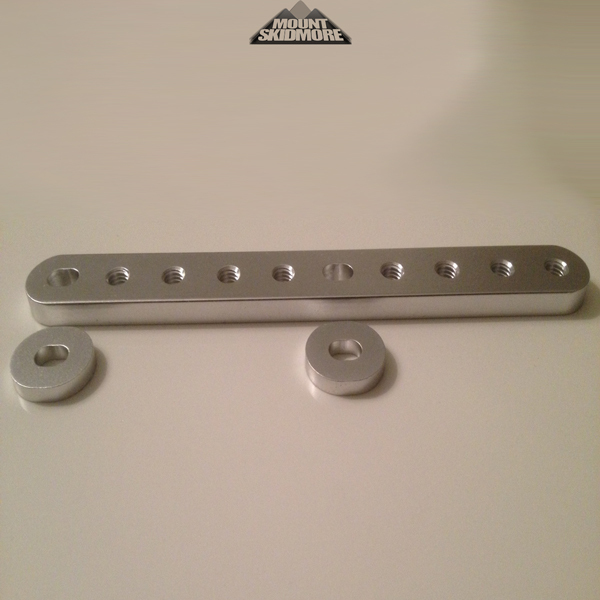 Now comes finished in your choice of anodised black or silver. Adapters are temporarily out of stock. Contact us and we will email you when they are ready to go. Category: Adapters. 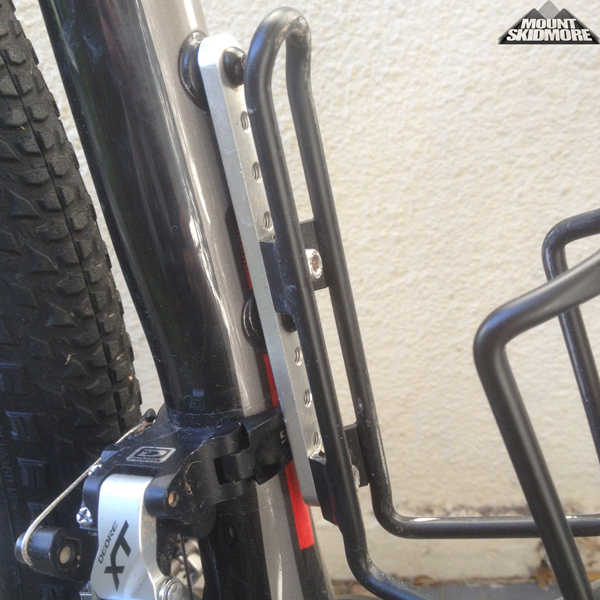 Tags: Aero Bars Cage Adapter, Bottle Cage Adapter, Bottle Cage Mount, Bottle Cage Relocator. Have you ever thought that your cage mounts were in a stupid location? Maybe you’d like to shift your bidon cage along your down tube to allow you to attach a battery or strap a spare tube to the frame? 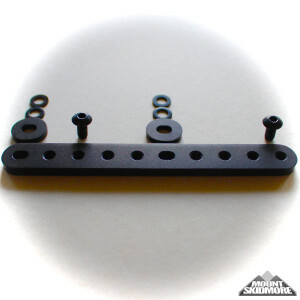 If you answered yes to any of the above questions, perhaps the Mount Skidmore bottle cage adapter will solve your problem. The Mount Skidmore bottle cage adapter allows you to shift a bottle cage up to 5 cm (2 inches) either up or down along the mounting tube. It’s worked well for me. With two Mount Skidmore adaptors I was able to move my bottle cages to allow me to carry two large one-litre bottles on my Scott Scale 29er (size large). With the original mounting points I was only able to fit a 600mL bottle in the seat post bottle cage. A larger bottle would hit the top tube. The Mount Skidmore adapter allowed me to move the cage lower on the seat tube. Hey presto… A large bottle now fits! To give me better clearance with the cage mounted on the down tube I used a second Mount Skidmore adaptor to move this cage up the down tube a little. With these adjustments two large one-litre bottles now fit comfortably.